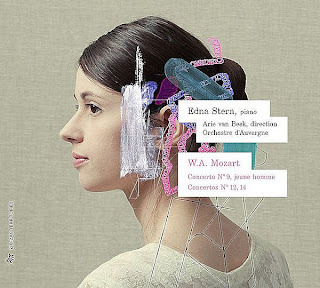 In his chamber music, Mozart charms me with his purity and distinction of style and his exquisite handling of the parts. Here, too, are things which can bring tears to our eyes. I will only mention the adagio of the D [sic] minor string quintet. No one else has ever known as well how to interpret so exquisitely in music the sense of resigned and inconsolable sorrow. Every time Laub played the adagio I had to hide in the farthest corner of the concert hall, so that others might not see how deeply this music affected me. [...] Previously I had only known the Italian Opera. It is thanks to Mozart that I have devoted my life to music. 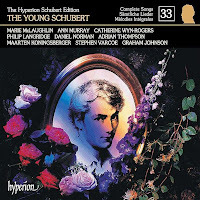 All these things have probably played a part in my exclusive love for him―and perhaps it is foolish of me to expect those who are dear to me to feel towards Mozart as I do. But if I could do anything to change your opinion―it would make me very happy. If ever you tell me that you have been touched by the adagio of the D minor quintet I shall rejoice. The manuscript of K. 516, which today is held by the Biblioteka Jagiellońska in Kraków (Mus. ms. autogr. W. A. Mozart 516), is not completely written in Mozart's hand. Four leaves (folios 9, 10, 19 and 20) have been replaced with a copy written by Mozart's friend and pupil Franz Jakob Freystädtler, a fact that was first published in my article "Franz Jakob Freystädtler. 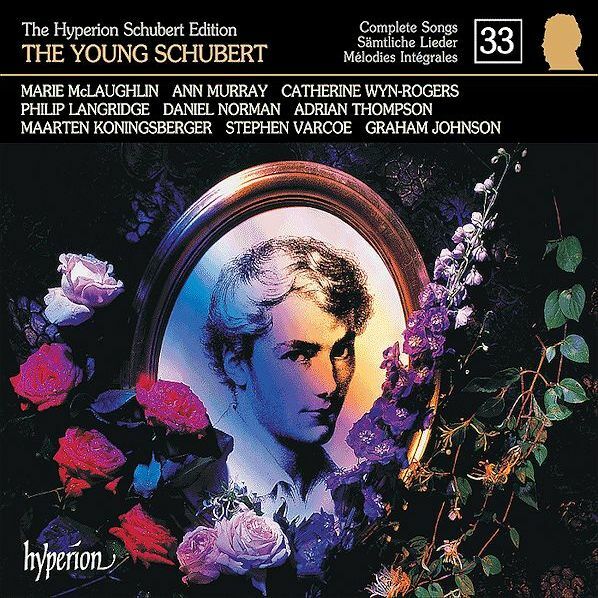 Neue Forschungsergebnisse zu seiner Biographie und seinen Spuren im Werk Mozarts", in: Acta Mozartiana 44, Heft 3/4 (1997), 85-108. In the foreword of the pocket score of K. 516 (Taschenpartitur 159), which in 2001 was published by Bärenreiter, Manfred Hermann Schmid (then a subscriber of Acta Mozartiana) did not cite my article and presented the information concerning Freystädtler's copying in the manuscript of K. 516 as if he had discovered it himself. In the NMA's critical report, published in 2003, Schmid repeated this plagiarism and tried to cover it up by referring to the foreword of his own earlier edition of the Bärenreiter pocket score. When in 2005, in the second edition of this Bärenreiter score, he ignored my article for the third time, I submitted a formal protest to the management of Bärenreiter and requested an apology. Schmid did not even think of apologizing and the excuse he presented was so lame that it made his behavior look even worse. He claimed that the information concerning Freystädtler's copying "had come from Ms. Ferguson of the NMA". 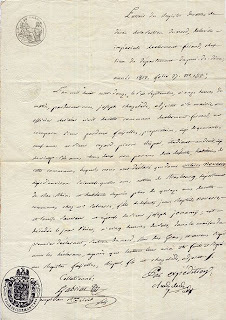 Apart from the fact that it had been myself who in summer of 1997, at the then NMA office in Salzburg, had told Faye Ferguson about Freystädtler's copying, Schmid hereby admitted that vital information in his critical report concerning the autograph of K. 516 was not based on bibliographical research, but on hearsay and unverified oral communication. Schmid also asked me to share information concerning some details he had missed in his report, but for obvious reasons I decided not to tell him anything about my research. Freystädtler's copy on folios 9 and 10 of the manuscript consists of bars 86-90 of the Trio of the Menuetto and bars 1-65 of the Adagio. In 1956 the original two leaves of the manuscript – according to Ernst Fritz Schmid – were held by the Collection Pleyel in Paris. They supposedly had come from the estate of Johann Anton André who in 1800 had received them from Constanze Mozart. 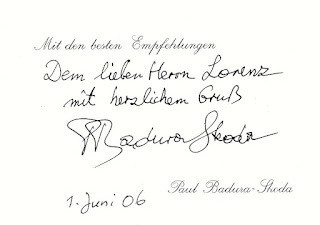 It seems, however, that Schmid never was able to personally scrutinize this autograph fragment and in his article "Neue Quellen zu Werken Mozarts", Mozart-Jahrbuch 1956 (Salzburg 1957) had to base his elaboration on a microfilm of this source whose original turned out to be unaccessible to Alan Tyson and the NMA. In the autograph of K. 516 Freystädtler's handwriting begins on folio 9r with the last five bars of the trio and ends at first leaf 11r, where at bar 66 of the Adagio Mozart's handwriting sets in again. Freystädtler inserted another six bars in the fourth movement. 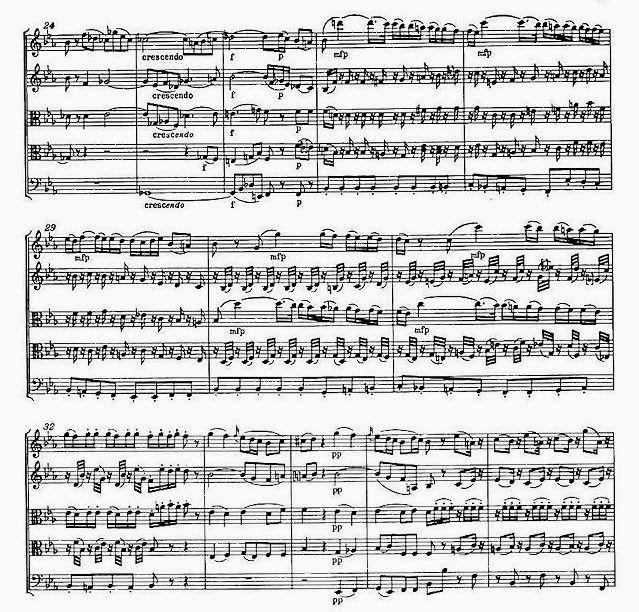 Mozart had already begun the Allegro on folio 12v, when he realized that on 12r there was not enough space for the ending of the Adagio introduction. Beginning at bar 33, Freystädtler by hand extended the notation system by three bars. 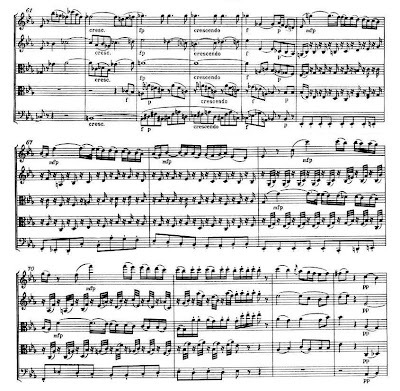 Next to the lowest stave he wrote "vide 0 13" and added the remaining three bars at the end of the third movement on folio 11v (i.e. the previous page). 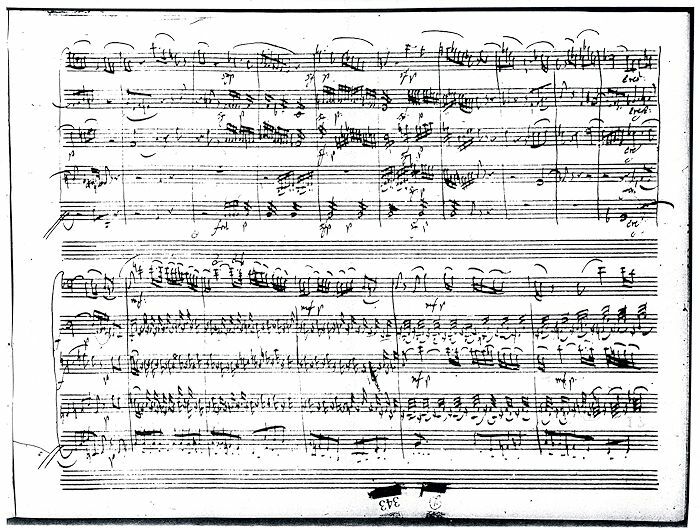 There, on the right margin of the page, he wrote "Volta sub[ito] 6/8 pag 14", referring to the beginning of the fourth movement. 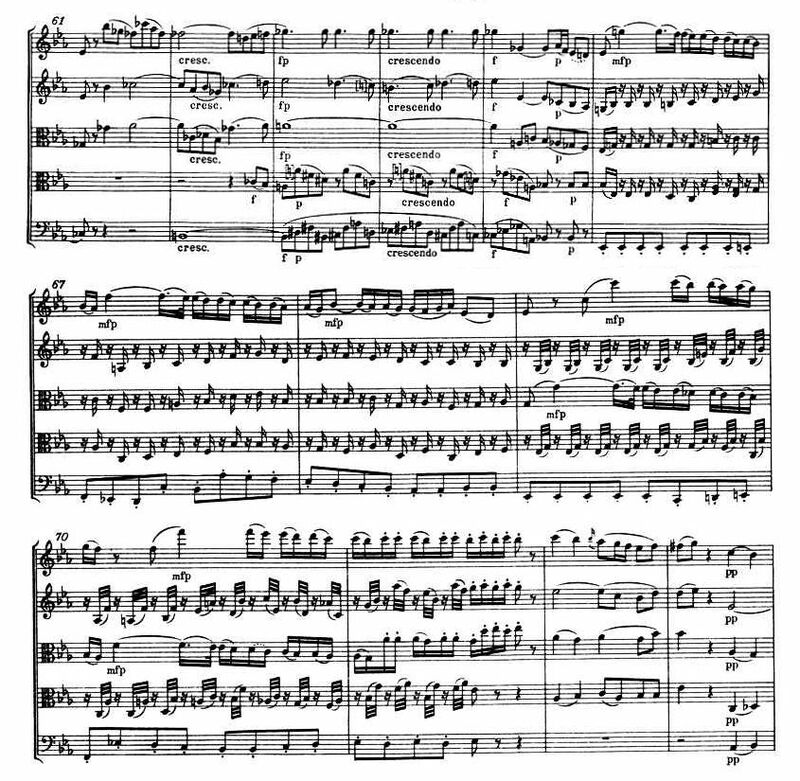 The foliation of the leaves copied by him is also written in Freystädtler's hand and so are the last 16 bars of the fourth movement. The original leaf of this ending once belonged to Clifford Curzon and was sold at Christie's after 1982. There are three slurs in the first half of bar 27. The second one which connects the quarter note d''' to the following dotted sixteenth is usually played as a long note on one stroke, as if Mozart had written a quarter note with three dots. This, in my opinion, is not how Mozart wanted this passage to be executed. The second slur is a score notation, not a performance notation. The separate third slur in bar 27 means that the quarter and the dotted sixteenth d''' ought to be separated from the preceeding quarter by a stop of the bow. Every classically trained string player should realize this. Analogous to this passage the third slur in the next bar also demands a separation of the quarter and the following dotted sixteenth. This is what Mozart had in mind when he applied a distinct third slur. 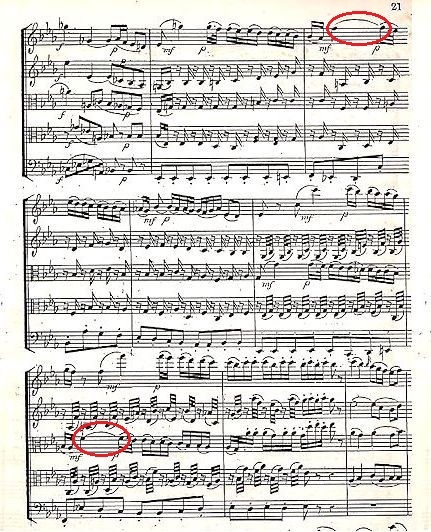 In bar 27 of the first violin part Freystädtler's copy omits the second slur which is obviously an oversight. 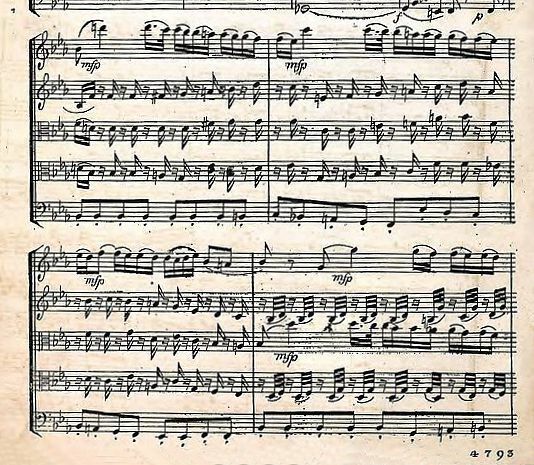 Bars 27-28 of the first violin part in the Adagio in the handwriting of Franz Jakob Freystädtler whose copy replaces a missing part of the autograph. According to Ernst Schmid he original leaves in 1956 were held by the Collection Pleyel in Paris, but today they cannot be located anymore and seem to have been stolen. In bar 28 Freystädtler erroneously wrote two e'''s and a d''' which he corrected with three small letters into c''' and b'''. 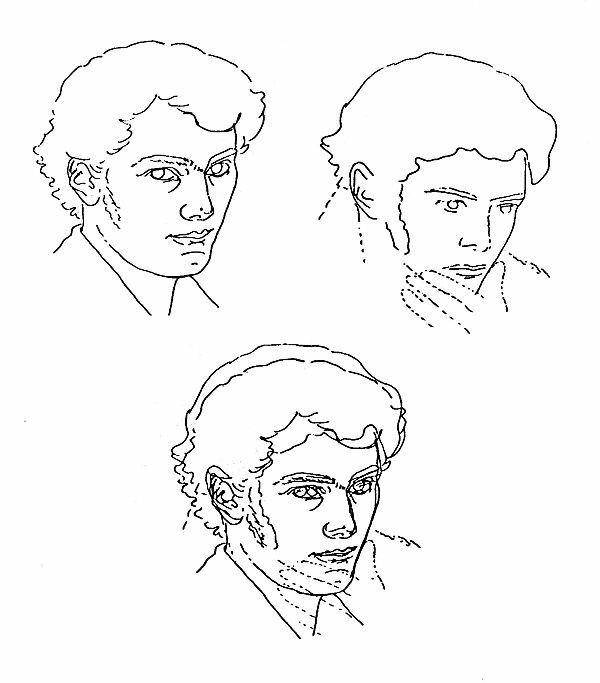 The perceptible distinction between the two notes – instead of the long maudlin single note that is usually played – should also be applied in the three analogous passages in the parts of the first violin (bars 66f. in the recapitulation) and the first viola (bars 30f. and 69f.). Bars 66 and 67 in the violins of the Adagio of K. 516 (P-Kj, Mus. ms. autogr. W. A. Mozart 516, fol. 11r). 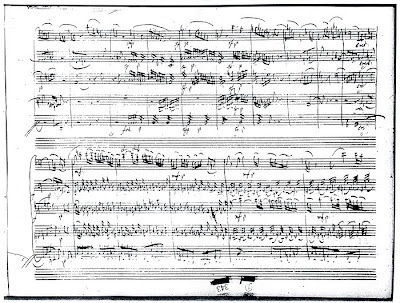 After the four pages that were copied by Freystädtler Mozart's handwriting begins again with this passage in bar 66. In the repeat of the second theme André's 1825 edition surprisingly has no slurs in the second upward figure in the first violin and the first viola which means that the slur was obviously considered to have no effect at all on the bowing of this phrase. When the original LP was released in 1973, no critic noticed this important detail. 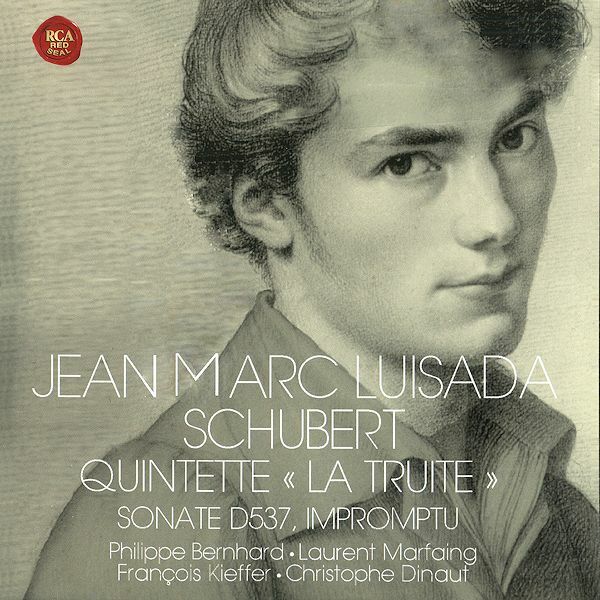 I know of only one recording of the quintet K. 516 that dares to follow what I consider the composer's true intention. 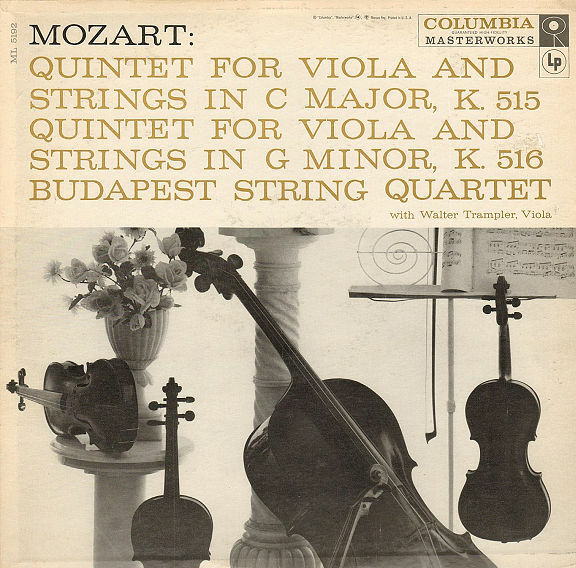 In December 1991, the British chamber ensemble Hausmusik, led by violinist Monica Huggett, recorded the quintets K. 515 and 516 for EMI Classics. The CD was released in 1992. 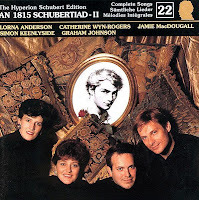 Hausmusik's complete recording of K. 516 is available here on YouTube (the ridiculous "Mozart portrait" must be ignored). 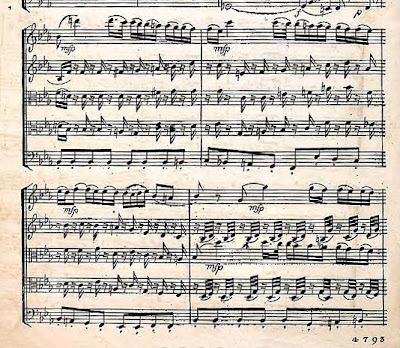 In spite of slight intonation problems, Hausmusik's performance of the third movement of K. 516 fundamentally changes the quality of a classic "beautiful Mozart passage". The correct interpretation of the second theme in the Adagio is in my opinion so much better and more logical that it completely changes the listening experience and makes the traditional version unacceptable. I have recently become aware of the recording of K. 516 by the Budapest String Quartet with Walter Trampler on second viola which was released in 1957 on the Columbia Masterworks Records label (ML 5192). The musicians performing in this recording were Joseph Roisman, Alexander Schneider, Boris Kroyt, Mischa Schneider and Walter Trampler. This recording is an early document of the third movement of K. 516 being performed as it is written in the score: with the third note in bars 27 and 28 (and the analogous passages) audibly separated from the second one. What is surprising is not that these legendary chamber musicians instinctively understood the implied meaning of the written musical text. It is the fact that their interpretation was not taken as a model by musicians of later generations. Did the composer originally intend to perform it himself or did he write it specifically for Miss Jeunehomme? It was certainly she who gave the work its first performance when she was in Salzburg at the end of January 1777. Little is known about this French pianist referred to in Mozart family correspondence as Jenomy or Jénomé. She came from Paris and, as such, probably embodied the broader horizons for which the composer was yearning. No "Miss Jeunehomme" ever existed, the name being a deliberate early twentieth-century invention. 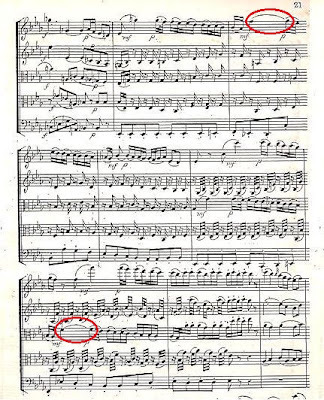 The nickname of Mozart's piano concerto K. 271 has been corrected to "Jenamy" since my discovery in 2004 of the identity of the person for whom Mozart wrote it. 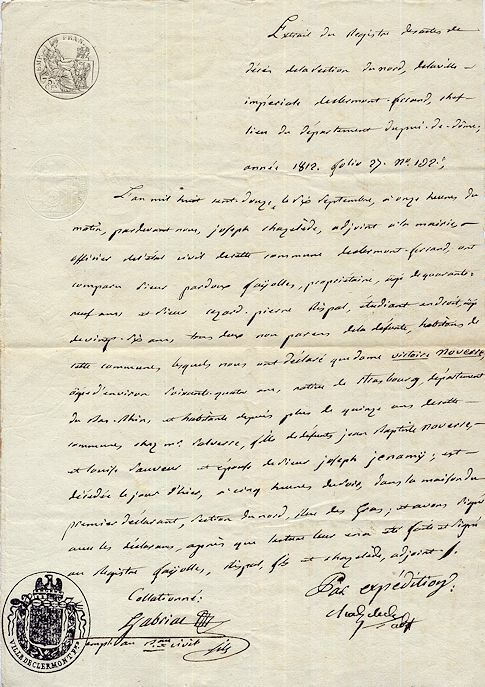 Further discussion concerning the name has become pointless, as "Jeunehomme" is a fantasy appellation invented by Théodore Wyzewa and Georges de Saint-Foix, who simply transferred «le jeune homme», their favorite place-holder for «Mozart», to a pianist whose real identity they were unable to determine. Jenamy on the other hand is what the real woman who commissioned and premiered the work was actually called, and I think one can fairly expect musicians and record producers to replace a spurious name with that of the flesh-and-blood musician for whom the concerto K. 271 was actually written. 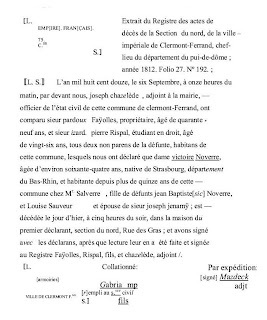 Victoire Jenamy's death certificate (she died on 5 September 1812), issued by the City of Clermont-Ferrand for Joseph Jenamy who in 1813 wanted to get married again (A-Wstm, SP, VKA 11/1813). The deceased, who around 1776 had left her husband and in 1784 filed for divorce, had taken her maiden name again. Lorenz, Michael. 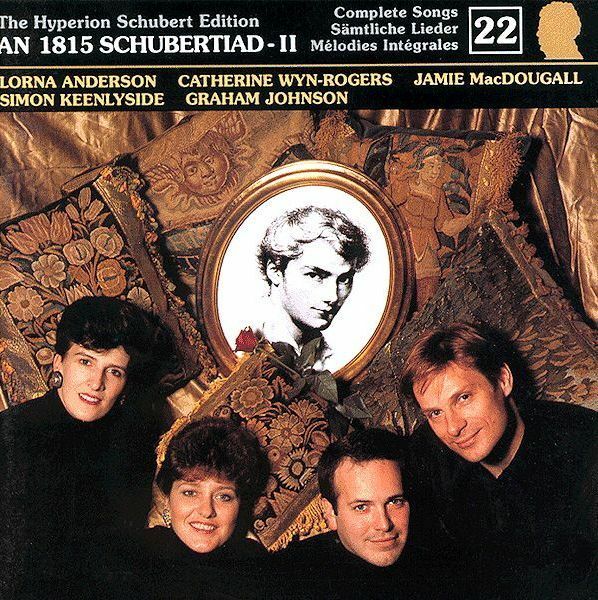 "Altes Mozart-Rätsel gelöst". In Österreichische Musikzeitschrift, 3-4/2004, 78. Van Gelder, Lawrence. 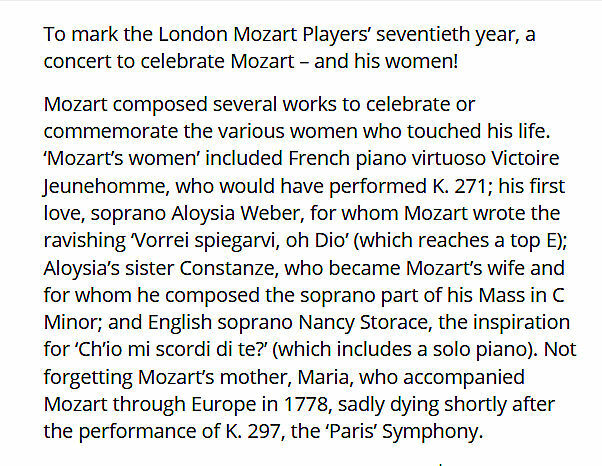 "Mozart by Its Rightful Name". The New York Times, 15 March 2004. Lorenz, Michael. Program note for Robert Levin's and Roger Norrington's concert with the RSO Stuttgart on 18 March 2004 at the Wiener Konzerthaus. Lorenz, Michael. An online publication of an English translation of this program note (March 2004). Lorenz, Michael. "The Jenamy Concerto". In Newsletter of the American Mozart Society, vol. IX (January 2005), 1-3. Lorenz, Michael. "»Mademoiselle Jeunehomme«. Zur Lösung eines Mozart-Rätsels". Mozart Experiment Aufklärung. Essays for the Mozart Exhibition 2006, (Ostfildern: Hatje Cantz Verlag, Da Ponte-Institut 2006), 423-29. Lorenz, Michael. "Wolfgang Amadé Mozart. Klavierkonzert Es-Dur KV 271 »Jenamy«. 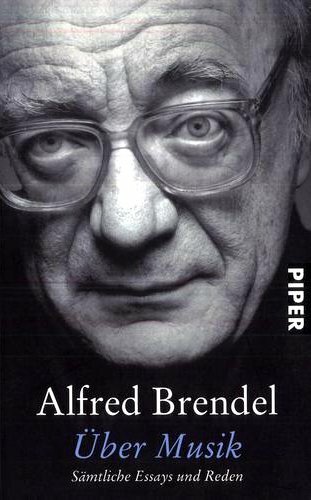 Program note for Alfred Brendel's final concert (with the VPO conducted by Charles Mackerras) at the Vienna Musikverein on 18 December 2008. Lorenz, Michael. "Alfred Brendel's Final Program Note" (English translation of the above program note, published online on 26 August 2012). 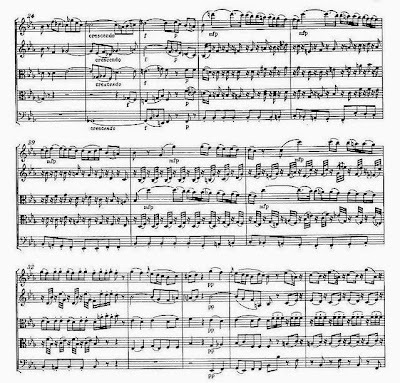 The name "Jeunehomme concerto" did not originate in a misunderstanding or through "a corruption of a name" (as some ignoramuses claimed). The name is a total fabrication. Most authors, who dealt with this issue in the last decade, either did not read my publications, or simply did not understand this central point. 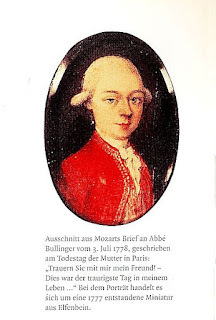 Some Mozart handbooks, which were published in the 2006 Mozart Year, included my discovery, some authors included it – for reasons of jealousy – without giving my name (as if the truth had dawned on Mozart scholarship from a magical "collective wisdom") and some of them ignored it altogether. The "Jenamy" entry on p. 232 of The Cambridge Mozart Encyclopedia (Cambridge University Press 2006). The author does not provide a bibliographic source, because he has obviously received his knowledge from a messenger that visited him in a dream. Some renowned pianists have shown how to proceed honorably on the occasion of a new recording of K. 271. 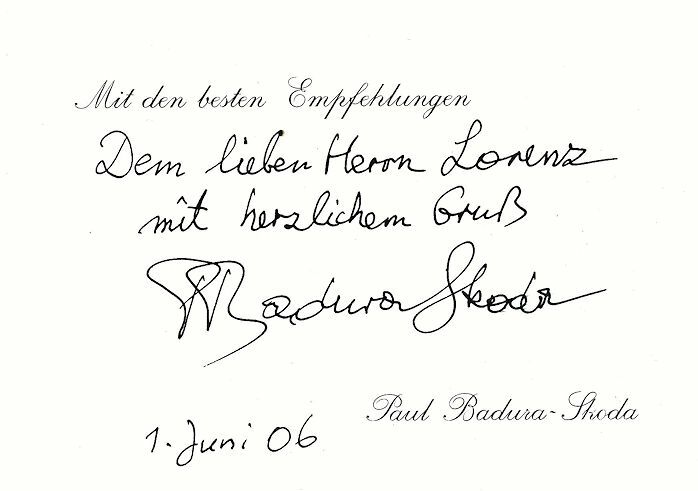 Before Paul Badura-Skoda in 2006 wrote the booklet for his new recording for ARCANA, he asked me to provide him with detailed information concerning my latest research and later sent me a copy of the recording. Wer die mysteriöse »Mlle Jeunehomme« war, ist dank der Nachforschungen von Michael Lorenz inzwischen geklärt: Sie hieß Victoire Jenamy, wurde in Straßburg 1749 geboren und war das älteste Kind des Tänzers Jean Georges Noverre. Mysteriös geblieben ist die plötzliche höchste Meisterschaft, die sich in dem für sie komponierten Werk entfaltet. Thanks to the research of Michael Lorenz the identity of the mysterious »Mlle Jeunehomme« is now clarified: Her name was Victoire Jenamy. She was born in 1749 in Strasbourg and was the eldest child of the dancer Jean Georges Noverre. What remains mysterious however, is the sudden highest mastery that unfolds in the work composed for her. Very soon after in May 2003 I had discovered the truth about K. 271 and Madame Jenamy, I decided not to become the "Jenamy police" who would call out all the uninformed musicians and recording producers who refuse to accept the historical facts. After all, I have more important things to do than to pursue this kind of propaganda work. 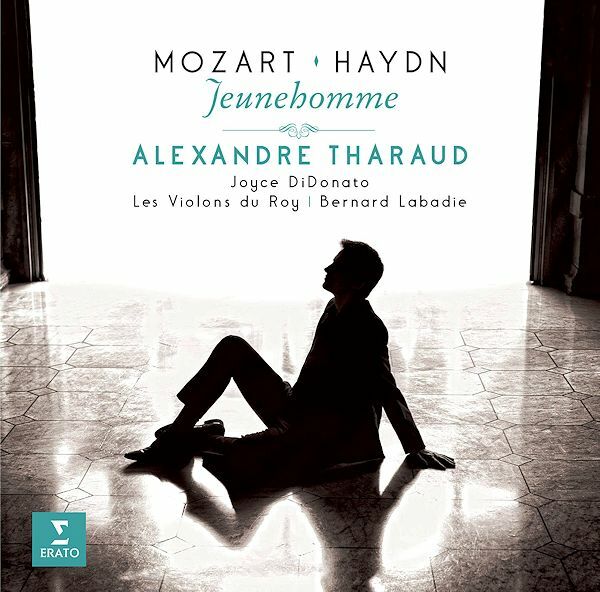 But as time went by, I had to realize that the continuing use of the nonsensical fantasy name "Jeunehomme" is a grave injustice towards the artist who paid Mozart good money for composing one of the greatest masterpieces of classical music. We simply owe it to Victoire Jenamy to give her name together with the concerto that she commissioned. The signatures on Joseph Jenamy's and Victoire Noverre's 1768 marriage contract (A-Ws, Merkantil- und Wechselgericht, Fasz. 3, 1. Reihe, J 2). 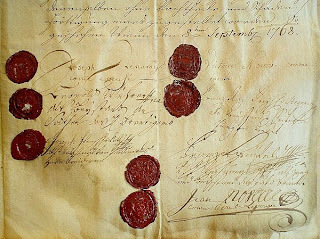 The undersigned persons are: Joseph Jenamy (1747-1819), Victoire Noverre, the merchant and guardian of the groom Leopold Wührer (1712-1776), Noverre's landlord Franz Xaver von Stegnern (1704-1772), the jeweler and brother-in-law of the groom's stepmother Joseph Fleischhäckl (1700-1795), the state official and poet Franz von Heufeld (at that time not yet ennobled) and "comme pere de l’epousée“ Jean Georges Noverre. 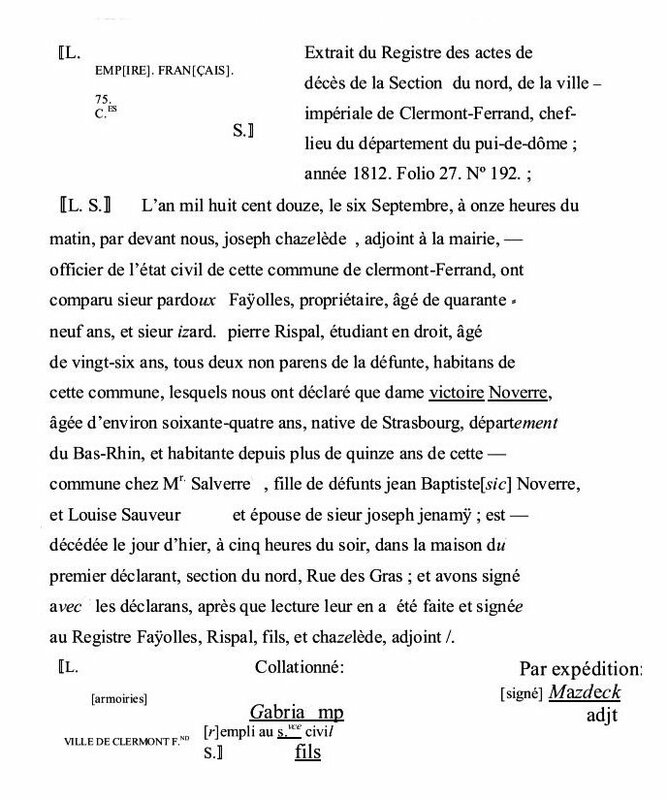 This document was first published in my article "»Mademoiselle Jeunehomme«. Zur Lösung eines Mozart-Rätsels". In Mozart Experiment Aufklärung. Essays for the Mozart Exhibition 2006. P:P:[arentes] sponsæ ambo adfuerunt in copulatione. Franz Heüfeld K: K: Rechnungs officir. In 1784 the couple filed for a divorce. And by the way: there is no proof that Victoire Jenamy ever visited Salzburg. Note to journalists: owing to lack of time and peers this post was not peer-reviewed. Nothing could be more wrong than to assume that in 2019 the reservoire of nonsense has already been exhausted. 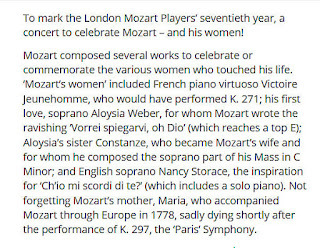 In a current announcement of a concert by the London Mozart Players on April 11th, 2019, entitled "Mozart's Women", we are confronted with the surprising existence of a "French piano virtuoso Victoire Jeunehomme". The author of this text is Janet Glover, the conductor of this concert. Glover seems to be basing her expertise on the fact that in 2005 she published a book entitled Mozart's Women. Although this book received favorable reviews from a number of journalists, it is nothing but a flawed and rather lightweight summary of all stories related to the women in Mozart's life that have already been published countless times. Although in her book Glover uses the pianist's correct name "Jenamy", she – quite unsurprisingly – fails to give my name. The new name "Victoire Jeunehomme", which Glover has now concocted, is truly bizarre. She uses the name "Victoire" that I discovered, but sticks to the old fictitious "Jeunehomme", just in case this Dr. Lorenz got it wrong after all. Glover's undecidedness leads to even worse nonsense, because the names "Victoire" and "Jeunehomme" cannot be used together. They are mutually exclusive. 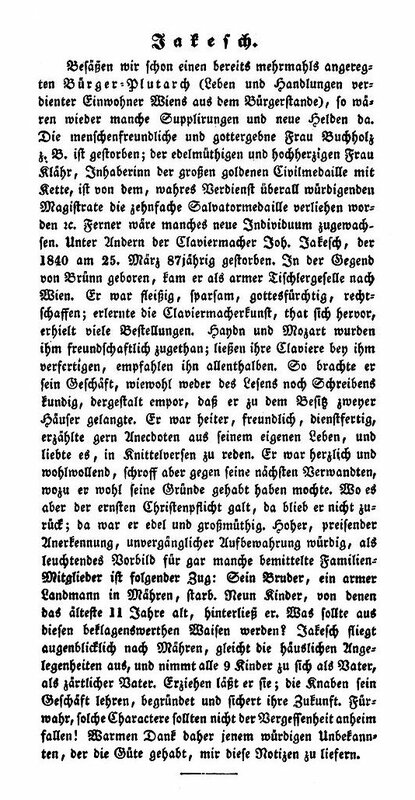 This information is based on an entry on p. 147 of Helga Haupt's Wiener Instrumentenbauer von 1791 bis 1815 (Studien zur Musikwissenschaft 24, Vienna 1960). "Loschin in Moravia" as Jakesch's place of birth is given on several web sites. 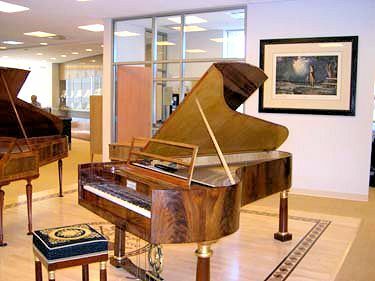 In 2001 the Ira F. Brilliant Center for Beethoven Studies at San José State University acquired an original Jakesch piano from 1827 which is presented on the Center's homepage as follows. The Ira F. Brilliant Center's presentation of Mathias Jakesch's 1827 piano, giving "Loschin near Brno" as Jakesch's place of birth. Contrary to the information on this page Jakesch's uncle Johann was not born in 1763, but in 1755. The typo "Mathais" in the headline is symptomatic. 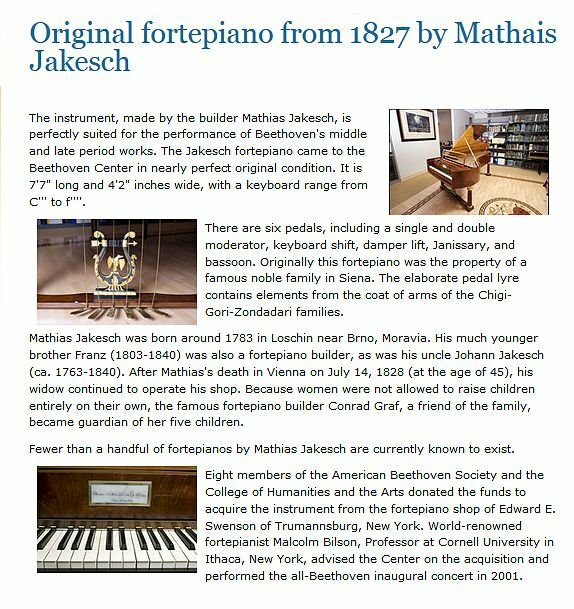 On the American Beethoven Society's website we read: "A piano and organ maker, Mathias Jakesch was born around 1783 in Loschin near Brno, Moravia. He died 14 July 1828 in Vienna at age 45. He lived in Vienna auf der Wieden, Kirchengasse 182." There is one small problem with Mathias Jakesch's supposed place of birth: a Moravian village named "Loschin" does not exist. The entry concerning Mathias Jakesch's death in the Vienna death register (A-Wsa, TBP 163, IJ, fol. 7v). The house Wieden 187 (today Neumanngasse 4) belonged to Beethoven's publisher Sigmund Anton Steiner and his wife Anna. This document shows that the mysterious village "Loschin" in Moravia is what Helga Haupt made of "Lösch in Mähren" (today Líšeň which in 1919 became a district of Brno). The words "Losch in" in the Totenbeschauprotokoll which Helga Haupt turned into "Loschin"
The flawed "Loschin" information has been corrected by Rudolf Hopfner in his article on the Jakesch family in the Österreichisches Musiklexikon. But this encyclopedia is only available in few libraries outside of Austria and it is rarely taken into account by musicologists, because of the huge number of errors it contains. Mathias Jakesch was born on 15 February 1784, son of the "Straßenaufseher" (street custodian) and "Häusler" Franz Jakesch (b. 1759) and his wife Catharina, née Noß (b. 1766). Mathias Jakesch was not born in Lösch (where he was baptized), but in the house No. 190 of the neighboring village of Latein (Slatina which today is also a district of Brno). 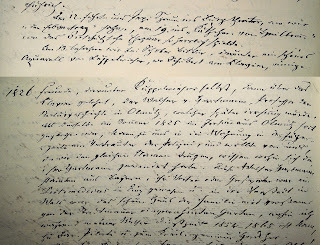 Mathias Jakesch's baptismal entry in the Líšeň church records (Moravský zemský archiv Brno, Brno-Líšeň 17604, pag. 295). Note the location "Lateinae". 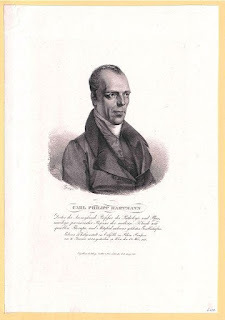 There is still no docuimentary proof that the piano builder Johann Jakesch (1755-1840) was really Mathias's uncle, although a family relationship seems to have existed, because in 1837 Johann Jakesch (together with the piano builder Kaspar Lorenz) served as best man at the wedding of Mathias's younger brother, the piano builder Franz Jakesch (b. 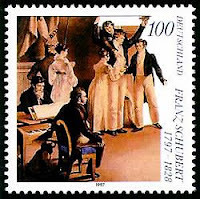 10 October 1803) in the parish church of Schottenfeld (Pfarre Schottenfeld, Tom. 15, fol. 26). Johann Jakesch was born on 6 June 1755 in Malostowitz (today Malhostovice) near Brno and was baptized in Tschepin (today Čebín). 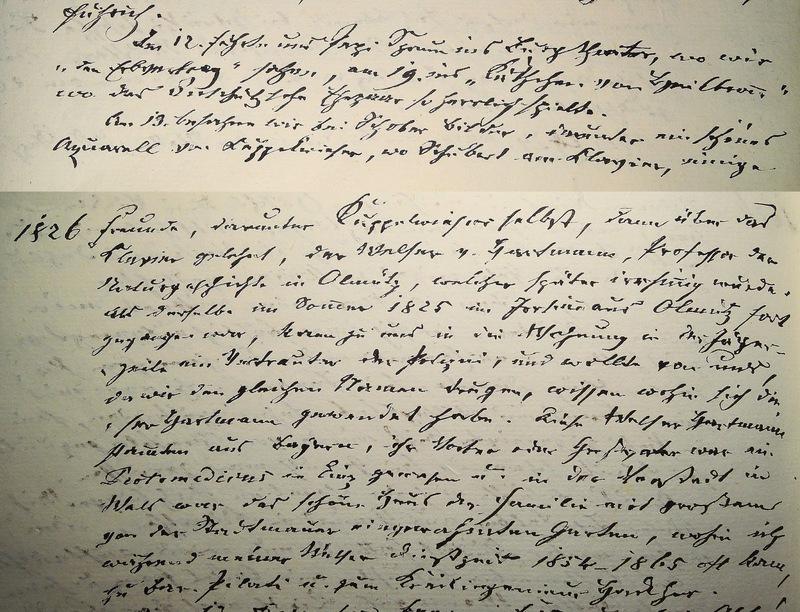 The entry concerning Johann Jakesch's baptism on 6 June 1755 in Malostowitz. Johann's father Lorenz Jakesch was a weaver. (Moravský zemský archiv Brno, Čebín 1059, p. 159). Franz Gräffer's description of Johann Jakesch's exemplary behavior. The "gottergebene Frau Buchholz" ("the pious Mrs. Buchholz") referred to at the beginning is Anna Buchholz who in 1809 inherited 100 gulden from Joseph Haydn. If we already had the Bürger-Plutarch, whose creation has been suggested many times (the life and deeds of deserved Viennese citizens from the middle class), some substitutes and a number of new heroes would be in store. [...] Many new individuals could be added. Among them the piano maker Johann Jakesch, who died on 25 March 1840 at the age of eighty-seven. Born in the area of Brno, he came to Vienna as a poor apprentice carpenter. He was industrious, frugal, God-fearing and righteous; he learned the art of piano making, excelled in his craft, received many orders. Haydn and Mozart became his friends; had their pianos made by him, recommended him everywhere. In spite of being illiterate, he advanced his business in such a way that he came into the possession of two houses. He was cheerful, friendly, obliging, liked to tell stories from his life, and loved to speak in doggerel. He was cordial and sympathetic, but harsh against his closest relatives, for which he might well have had his reasons. As far as his serious duty as a Christian was concerned, he did not fail and showed himself to be noble and generous. Worthy of praiseful recognition and everlasting memory, as a shining example for many well-off family members is the following feature: His brother, a poor fellow, died in Moravia. He left nine children, of whom the oldest was eleven years old. What should become of these deplorable orphans? Instantly Jakesch hurries to Moravia, settles the domestic affairs, and takes all nine children with him as a father, as a tender father. He has them educated; he teaches the boys his craft; establishes and secures their future. Indeed, such characters should not fall into oblivion! 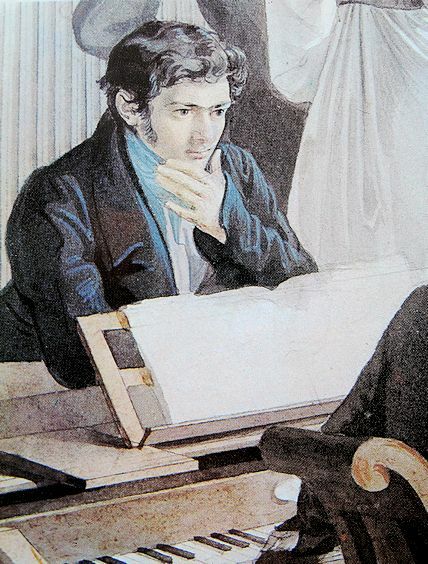 What Gräffer of course could not know was the fact that seven months after the death of his first wife Anna in 1811 Johann Jakesch had made the mistake of marrying again. His second wife was the widow Elisabeth Fingerl, a sister of the capellmeister Johann Georg Lickl. The marriage turned out to be a disaster and when Jakesch's second wife died on 24 March 1815, the couple had already separated and was on the brink of getting divorced. The rift between them was so deep that the widower refused to sign his deceased wife's probate papers. As far as Johann Jakesch's adoption of his brother's nine children is concerned, part of Franz Gräffer's story is corroborated by the sources. Mathias Jakesch's younger siblings were orphaned in 1809, when their parents died within five days. Catharina Jakesch died on 6 October 1809 of exhaustion, her husband Franz died on 11 October 1809 of dropsy. 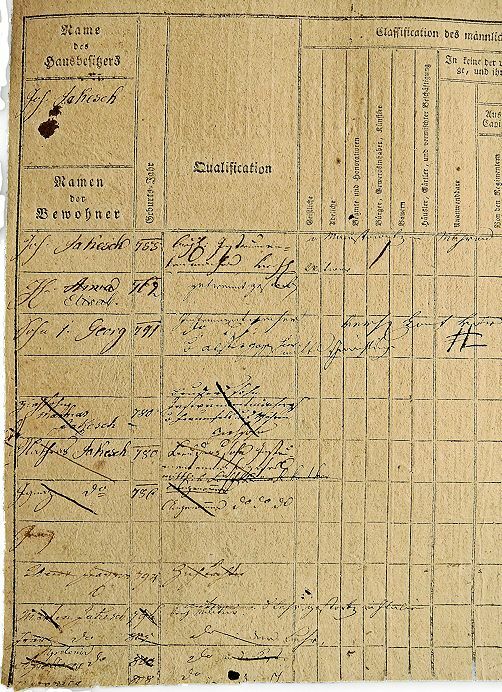 A conscription sheet of Johann Jakesch's house Wieden No. 78 (today Wohllebengasse 15) from between 1805 and 1811 lists several of Johann Jakesch's adopted relatives. At the top left Johann Jakesch is given as owner of the house. Then follows Jakesch ("v Malostowitz in Mähren") and the names of his two wives (the second one described as "getrennt gestorben"), his only son Georg ("Instrumentenmacher v Alstergasse, verh., komt vor, mittl[erer] Schwächling"). Mathias Jakesch is listed twice, once as "Ziehsohn", "Bruders Sohn" and "Instrumentenmachergesell von Frauenfels in Mähren", once as "Bruders Sohn Instrumentenmachergesell mittl. v Lösch b Brünn, angenommen [adopted]"). Then follow Ignaz ("Angenommen"), Anna Franziska ("Ziehtochter"), Martin ("Anverwandter in d Lehr bey Militär gestorb[en] in Italien"), Franz ("d[etto] in d Lehr"), Apolonia ("in d Kost") and what seems to be a Veronica Jakesch. The years of birth of some children prove that Gräffer's information concerning the age of the youngest child was correct. After having received the City's official permission to work as a piano builder, Mathias Jakesch on 21 October 1811 married Walburga Kreb, the daughter of a state official from Burgau in Bavaria. His marriage contract shows that he was unable to even write his name. Jakesch signed with three Xs and his name was written by Karl Klose "als ersuchter Namensunterschreiber des H[errn] Mathias Jackesch und Zeuge". 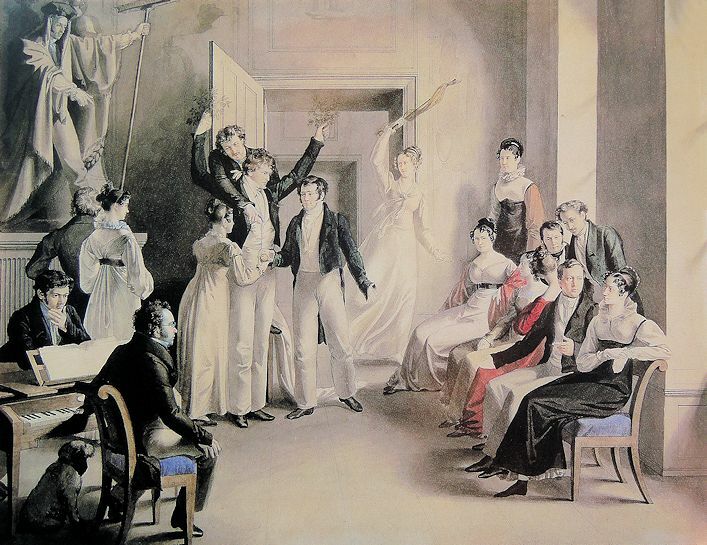 Between 1812 and 1826 Mathias Jakesch and his wife had seven children of whom five were still alive at the time of Jakesch's death on 14 July 1828. Conrad Graf became the guardian of those children and Walburga Jakesch continued to run her husband's business until 1839. But a detailed biography of Mathias Jakesch is not the main topic of this blogpost.